Verb. 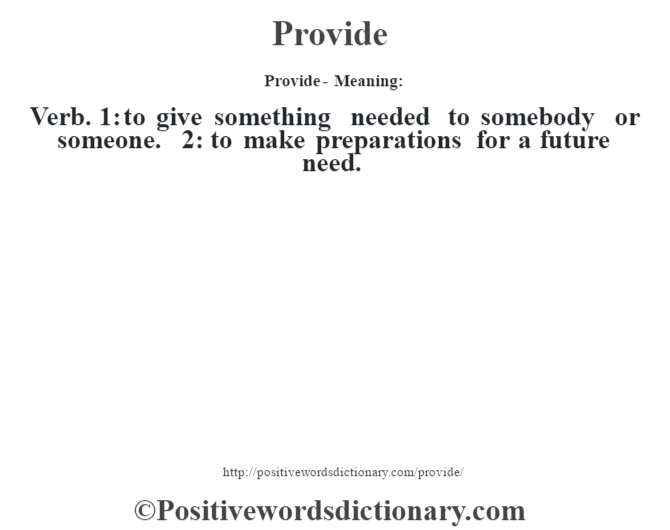 1: to give something needed to somebody or someone. 2: to make preparations for a future need.